Dengue fever outbreaks in Guangdong are not due to endemic infection but are being triggered by imported cases that slip through inadequate border controls and poor local hospital surveillance, researchers have found. 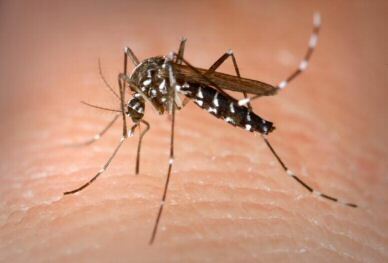 Despite fears that dengue was re-emerging as an endemic disease in Guangdong, researchers from the Guangzhou Center for Disease Control and Prevention have traced the source of three recent outbreaks in the region to travellers arriving in Guangzhou from Vietnam, India and Tanzania. A 2009 outbreak was straced to a Chinese man who returned from a trip to Vietnam, the report in PLOS One. Two other outbreaks in 2009 and 2010 were traced to visitors from India and Tanzania, the latter resulting in almost 80 cases of the disease in the city. Using genetic analysis of the dengue virus, the researchers showed that the strains were not like the endemic strain seen previously in China but were similar to strains seen internationally. The outbreaks of dengue infections mostly occurred following the monsoon season, when the climatic factors (temperature and humidity) remained conducive for Aedes mosquito breeding. Most of the patients were in the age group of 21–50 years, which is contrary to the popular belief that dengue is a paediatric disease. The outbreaks occurred because the dengue fever cases were initially misdiagnosed, which is understandable as initial symptoms are often non-specific and viraemia may be below detectable levels. Outbreaks of dengue in Guangzhou are also promoted by Cantonese habit of culturing water plants and keeping water for watering flowers, and environment were suitable for the breeding of dengue carrying Aedes albopictus mosquitoes. Also, there is a lack of local self-awareness of the need to protect against dengue, the researchers say. The researchers are critical of the half hearted measures taken by local government to identify imported dengue cases and reduce the local transmission. The Guangdong dengue control program includes a network of rapid diagnostic laboratories, and fever screening at international airports using infrared thermal scanners. However, febrile passengers suspected of having dengue virus infection are not detained at the airport nor required to complete the “Dengue Survey Form”, and only provided with a mosquito net, which is rarely used. "These findings underscore the importance of early detection and case management of imported case in preventing large-scale dengue epidemics among indigenous peoples of Guangdong," they conclude.